Chef – Red Shellfish. Peel the Love! Valentine’s day is 3 weeks away. For the next few weeks we will look to the “Color of Love” for inspiration. Red is very recognizable for restaurants. It’s been proven to induce hunger and excitement in diners. That’s the goal of these next informational pieces. To incite excitement for some of our incredible “Red” offerings. 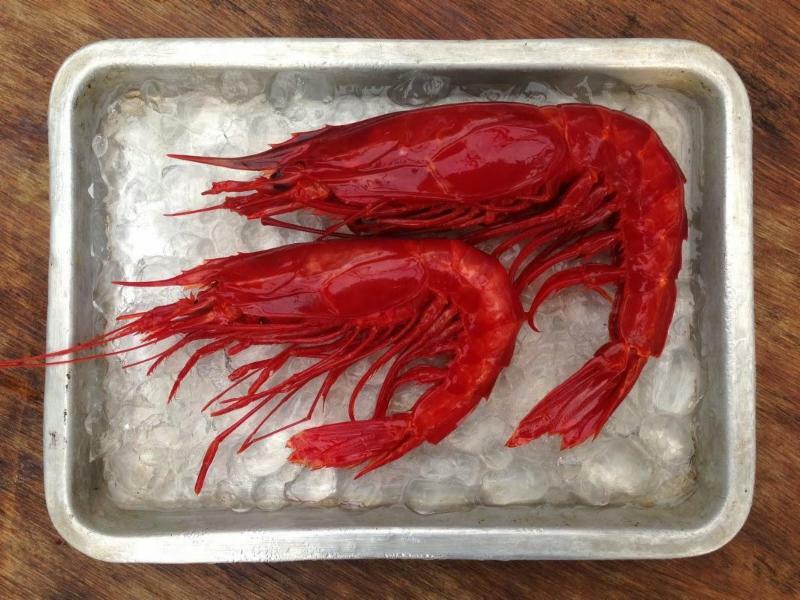 Royal Reds are a deep fathom species that are relatively new to the National Market. The sheer depth has kept the Shrimpers from exploiting the species. They have been celebrated in the local markets for a bit longer and could be regarded a “Best Kept Secret”. The Royal Red Shrimp have the “Snap” of White Shrimp with a creamier and sweeter finish. The best culinary applications call for moderate heat and monitored cook times. The Royal Red Shrimp need no masking ingredients, but accept complimentary herbs and light spice. Small Lobster is a very accurate description of the Royal Red Shrimp’s profile. Crawfish are freshwater crustaceans. Louisiana has more than 30 different species of crawfish, but only two species are commercially important to the industry; the red swamp crawfish (clarkii) and the white river crawfish (zonangulus). The red crawfish vastly outnumber the white crawfish in state-wide production. Occasionally both species are mixed in the same catch. Caribeneros are a deep water species inhabiting the extreme depths of the pristine Mediterranean Sea. Shrimp fleets of Spain net these phenomenal robust creatures and immediately grade, size and freeze to return to Mercado de Madrid for local sales as well as direct export to Miami. SeafoodS.com places huge regard for the items handled by our importer, and Carabineros rank at the top of quality Spanish shellfish. 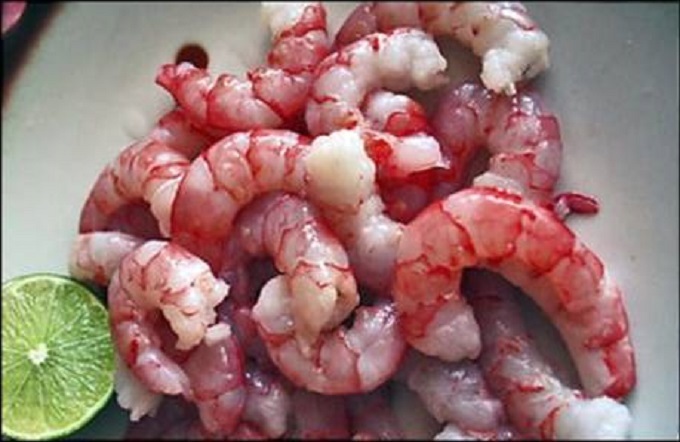 SeafoodS.com offers these spectacular Red Shrimp with profitability and amazement in mind. Spanish Carabineros offer both. Not your average Shrimp… U3 & U5 available. Enjoyed by notable chefs including Richard Blais, Rick Bayless and Roberto Cardazzo, chocolate clams or almejas chocolatas are often referred to as “Baja’s seafood candy”. Named for the uniform brown color of its shell rather than any chocolate flavor, the meaty Mexican chocolate clam is one of the largest West Coast bivalves, reaching up to six inches across. 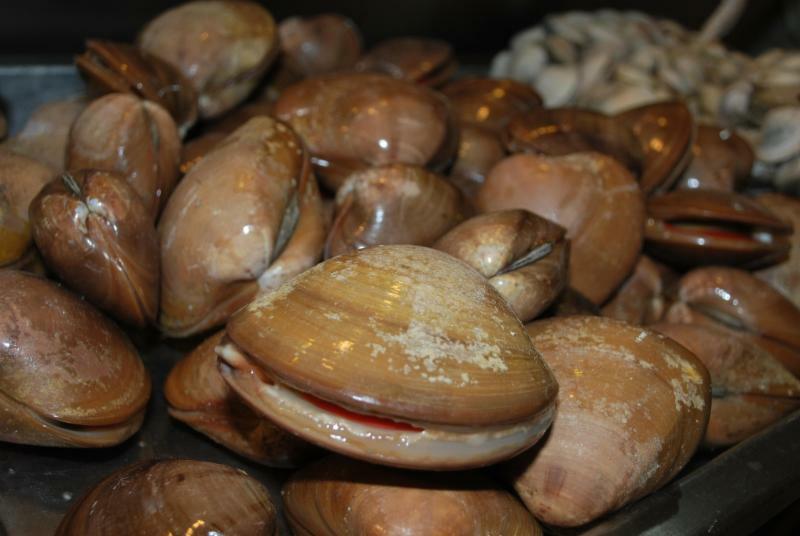 Chocolate clams are harvested in and around in Mexico in all coastal lagoons from Magdalena Bay south along the Pacific side of Baja, throughout the Sea of Cortez, and along the coast of the mainland to Guatemala where they colonize in sandy bottoms in very large, dense populations. Categories: MENU PLANNING, PRODUCT KNOWLEDGE | Tags: Clams, Crawfish, Prawns, shellfish, Shrimp | Permalink. Chef – Red Meat. Bring Out the Animal in Your Guests! Valentine’s day is 4 weeks away. For the next few weeks we will look to the “Color of Love” for inspiration. Red is very recognizable for restaurants. It’s been proven to induce hunger and excitement in diners. That’s the goal of these next informational pieces. To incite excitement for some of our incredible “Red” offerings. There are few ingredients that appeal to the broad spectrum of diners like beef. From the backyard to Michelin Stars, beef covers it all. For a holiday that boosts the first quarter, beef encompasses the field of expert diners and date night amateurs. It satisfies the savage as well as the sensual. It’s a perfect Valentine’s Day menu item. 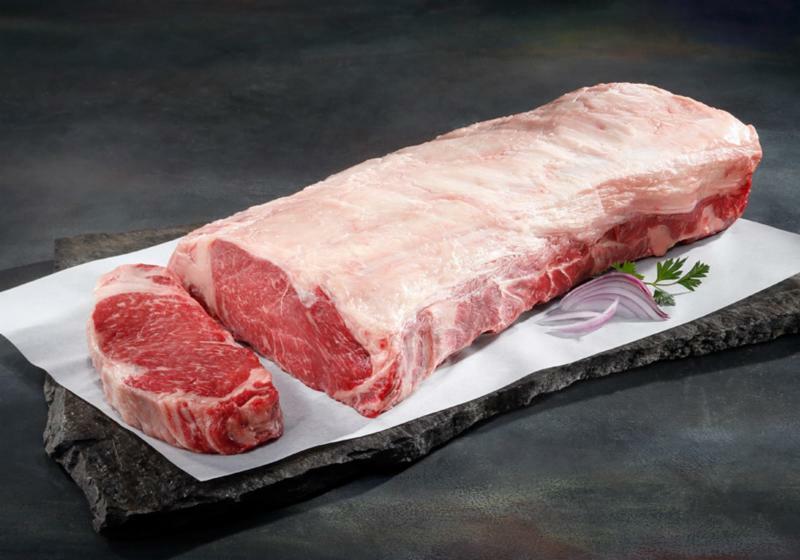 SeafoodS.com offers a full line of beef that is certain to hit the mark for your restaurant’s need. From subprimal to portions, we have it. 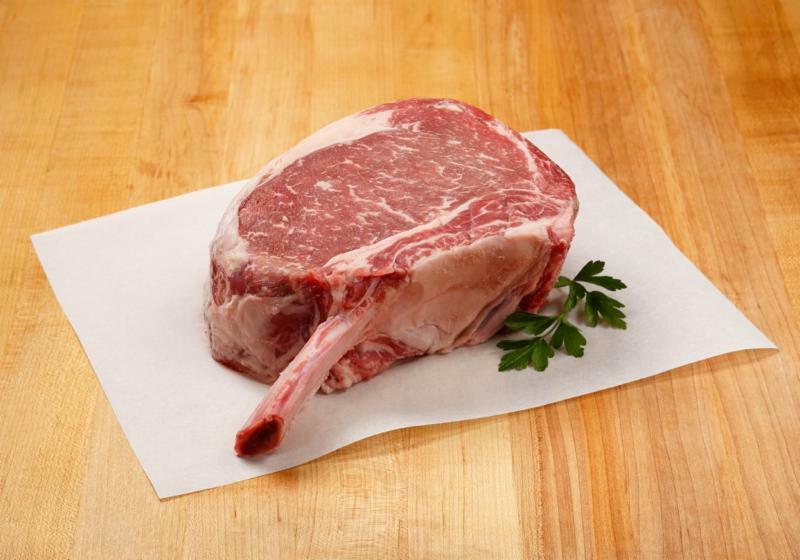 Angus, Wagyu, Prime, and Aged are all available to set your menu. Below is just a sample of our available beef cuts from a handful of the world’s best producers. If there are cuts or specifics that are needed, please call us. SeafoodS.com wishes you the best in 2016. We are combing the globe to find exciting products to enhance your menu. We hope to be a big part of your success this year, and welcome your thoughts, wants, challenges, and inspirations. The 2016 Halibut Season is just a couple months away. 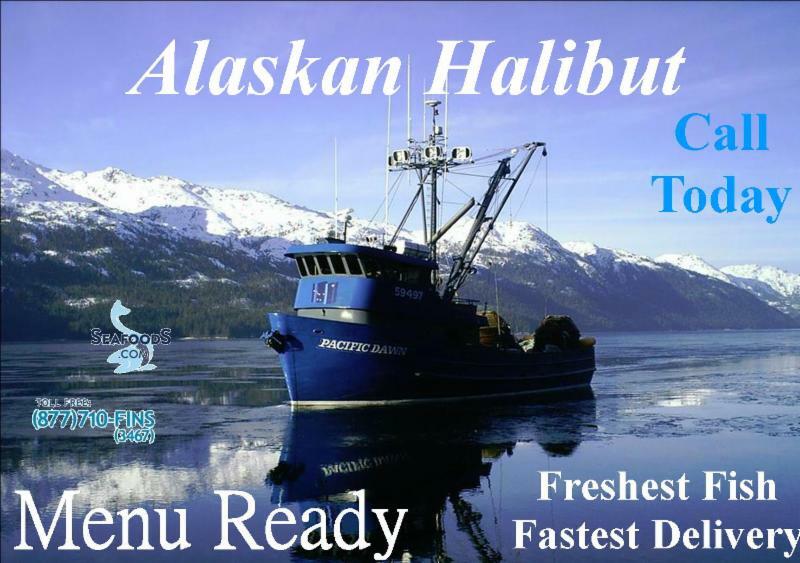 SeafoodS.com is honored to once again partner with the stunning Direct Day Boat Alaskan Halibut Program . This is a “Same Day” Anchorage Flight into the Continental United States and available to you the next morning. March opens the season and we are slated to have a healthy haul. Now is the time to reach out to us to begin planning your Halibut program. If you’re looking for large fish with exceptional freshness and shelf life, begin the process of securing them. The fish are offloaded in Anchorage and flown into our repackaging facility. There the ordered “Whole Fish” are expertly readied for same day shipping. 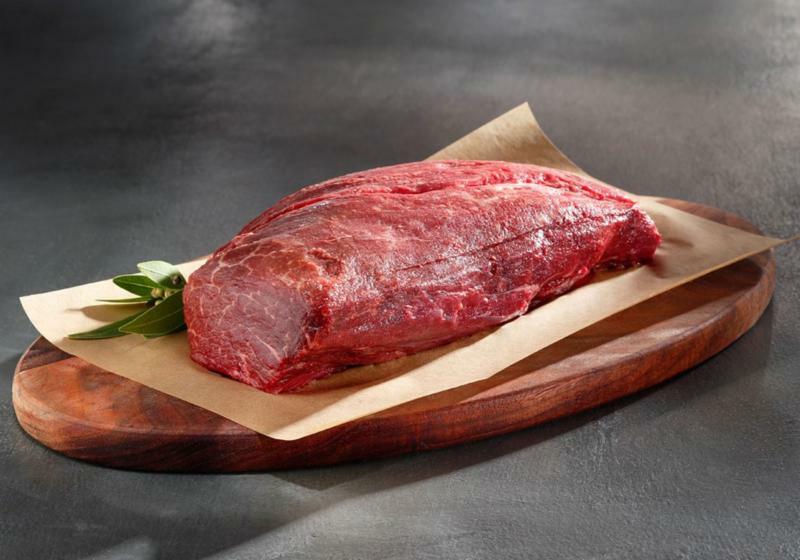 If fillet is your spec, we have you covered. SeafoodS.com offers some of the tightest trim of any fillets available in the marketplace. Bellies trimmed, frills removed, and tails docked represents the highest yields anywhere. Midday fillet orders also ship the same day. You purchase like a distributor. Priority Overnight Shipping brings the Halibut docks to your door. We have years of successes and many accolades with this program. Hook and Line Day Boat Operators, in the Seafood Producers Cooperative, are dedicated to providing some of the best Halibut in the National Market, and we are their direct airfreight connection. Categories: MARKET UPDATES | Permalink. Chef – Just the thing to make ’16 sing. THE FISHERY – At Seafoods.com we strive to continue to source the best ingredients and partner with top fisheries to provide grade A products. Our Maine Day Boat program is no different. The state of Maine has a rich history for providing some of the world’s best seafood. 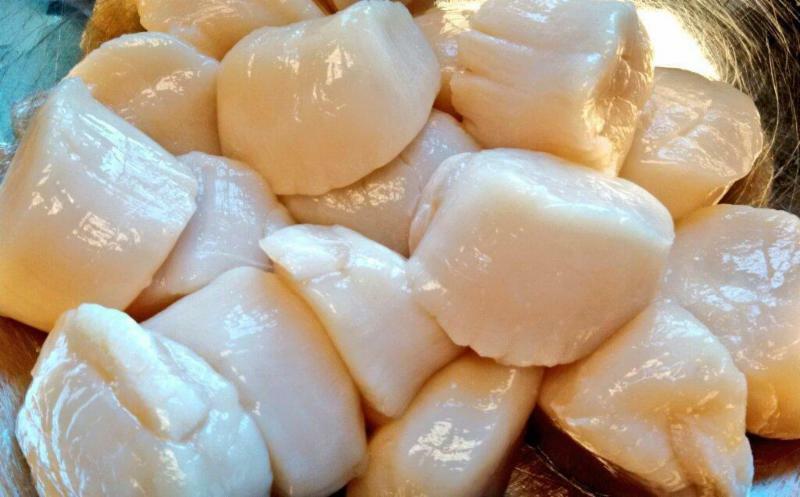 Starting on December 1st every year Maine opens its scallop season to commercial fishing. The quota system works by allowing both true day boats to fish certain days of the week while also allowing divers to harvest scallops certain days of the week. The result is an outstanding co-op of divers and boats that source a truly unique and fantastic product, which is second to none in quality and high in sustainability. The Dive Operators in Maine are great folks also. Sue and her husband have made Scallop diving their lifeblood, and hold the Scallop in the highest regard. Sue is part of a long tradition, at least 5 generations long, of fishermen, harvesters and boat capatains. She manages, with her husband and oldest son, a co-op of fishermen on the island of Stonington, Maine. The island boarders Accadia National Park and the town are stewards of the environment taking special care not to upset a delicate ecosystem. Sue tells us the reason the seafood is so great is because of the large amount of phytoplankton in the water. This also makes the divers job that much more difficult. THE SCALLOP – Sea Scallops offer one of the most sought flavors in seafood. They are naturally high in sugars which relate to a beautifully caramelized product. Sea Scallops are a easily portioned for any application. They are sorted by size; 5 to 50 per pound. U10 to 30/40 count are the most popular and readily available. Allow SeafoodS.com to find the Scallop that best fits your menu.